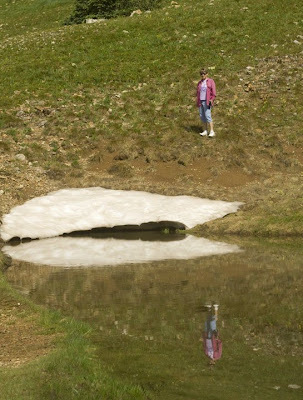 Sally took this photo of me standing next to a dirty patch of late July snow. 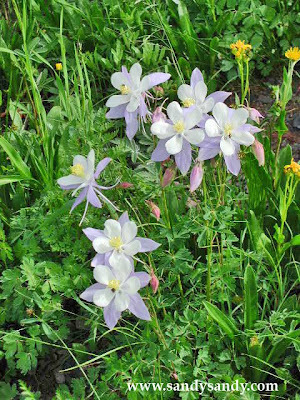 The Blue Columbine were beautiful and plentiful in some elevations. 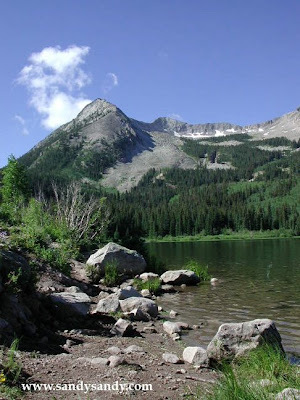 This is a shot from Lost Lake where we hiked on my last day in the Rockies. So glad you didn't post them all at once. I gorged myself on the first lot and now got my just dessets. Thank you, what a feast!